Hi, I'm hopping some one in the know can help me out here. Is the chassis on the 1959 Oldsmobile 98 the same as The 59 Cadillac Deville? I'm looking for suspension parts and I'm coming up short under Olds. A friend suggested 59 Caddy parts instead. Here's a 59 Caddy front suspension. Note that the upper control arms are nearly straight. Also note that the frame is an X-frame. Here's a 59 Olds. Note the "drop" in the upper control arms. Also note that the Olds uses a modified perimeter frame with an X. By the way, Kanter sells complete suspension, steering, and brake rebuild kits for the 59 Olds. Thank you for setting me straight with this. Goona slap my buddy behind the head for this..
You may want to check out Pontiac or Buick parts. So, you are saying nothing interchanges within the B-O-P group ? Without a doubt, engines and transmissions could be very different. 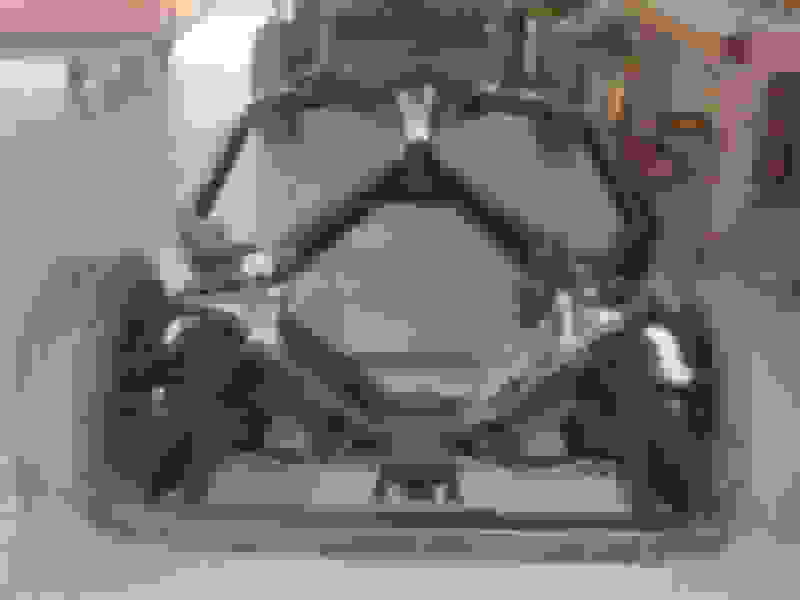 A L L Ball Joints, Bushings, Tie rods, Center link, Idler Arm, etc., etc. are exclusive to Oldsmobile, period. Thank you. that narrows things down. I have the best price in the planet for U.S.A. made (VERY N.O.S. ONLY) parts. and I have a good bunch of them -- so my price IS and CAN BE the best on the planet. On the full size cars, that it true on pretty much all the chassis, suspension, and brake parts until the 1971 model year. 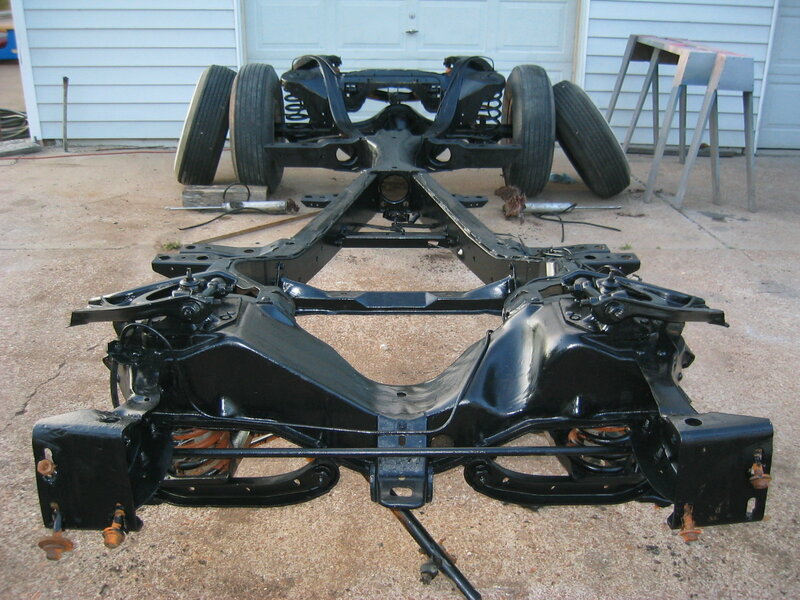 As you can see from the photos I posted, for the OP's 1959, the chassis is completely different. Olds used a perimeter frame and leaf sprung rear. That 59 Cad uses an X-frame and coil sprung rear. Steering, suspension, brakes are all different. Even in the late 60s, the suspension, steering, and brakes on the full size cars are different among the divisions. You can get front rotors for the Cad. You can't get them for the Olds and Buick (and they are not the same between those two, either). Steering linkage is unique for each. Rear suspension is unique. Brake drums are unique. On the other hand, many of the interior parts for my 67 Delta have come from Impala suppliers. Glass is shared as well. Go figure. Joe, I did notice the difference in frames. I am sure there are differences in many things. Some parts are available and some aren't. Some parts are available and some aren't. Yeah, and it's hit-or-miss. For example, on my 67, the upper ball joints and idler arm are the two items that no one makes. Craig has been great at finding NORS versions of these, like ancient TRW versions. Rare Parts makes replacement center links, and everything else is still made by Moog. Is a cadillac 350/350 the same as olds?? Diesel Oldsmobile, Cadillac or Buick for trade of 84 Cadillac Eldorado. 61 62 88 The Same Chassis? 1959 98 front body mounts.